Water is the elixir of life. Despite being a water-rich country, India today faces a crisis of water in drinking, irrigation and sanitation. The UN Sustainable Development Goal #6, is aimed at achieving universal and equitable access to safe and affordable drinking water for all by 2030. The recently released ‘Composite Water Management Report’ by Niti Aayog does a commendable job of showing us the mirror. It points out that 600 million people are at extreme risk due to water-related distresses. The two aspects leading to this risk are associated with access and safety. While access to water has improved markedly in recent years, with almost 87 percent of rural households having access to basic water, the provision of safe drinking water and every house having piped water, continue to remain a challenge. Today, access to safe drinking water is absent for nearly 75 percent of the households in our country, while in rural areas, nearly 84 percent of households do not have access to piped water to cater to even their basic non-drinking needs. The second factor is safety. A testament to this is the fact ~2,00,000 people die every year due to lack of access to safe drinking water. This is the reality today. If this is unnerving, the projections for the future are even more terrifying. The water demand in India is expected to double in the next 10-15 years. This will not only amplify the existing scarcity, where ~40 percent of our population will not have access to drinking water, it is also expected to lead to an economical loss, which amounts to a whopping six percent of our GDP. On the other hand, India is still an agriculture-dependent economy where large numbers continue to derive their source of livelihood from farming. Agriculture alone uses ~90 percent of the water in the country. In this situation with our food consumption rising and water depleting, the future we are heading to seems bleak. The other aspect to the UN Sustainable Development Goal #6 is access to adequate and equitable sanitation and hygiene for all, and end open defecation. According to the World Bank, more than 520 million people in India were defecating in the open – the highest number in the world. The Government in India has done a commendable job with its flagship programme – Swacchh Bharat Abhiyan – by building lakhs of toilets to rid the country of the menace of open defecation and the multitude of problems that accompany it. However, constructing toilets is just half the job done. The other half is inducing the behaviour change that drives people to use toilets and not defecate in the open. 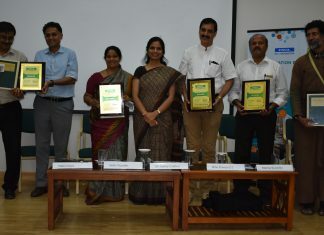 As a grassroots implementation NGO, Swades Foundation’s vision is to build a model for sustainable and irreversible change by empowering rural communities to become self reliant. Currently, we work in six blocks (Mahad, Mangaon, Tala, Poladpur, Shrivardhan and Mhasla) of Raigad district in Maharashtra benefitting over 4,70,000 people. Our strength lies in the deep knowledge of problems in this geography, learnt through a decade of first-hand grassroots interventions. This geography that had poor sanitation facilities, poor agriculture output owing to no water for irrigation/second crop, no local livelihood opportunities, poor quality of education and healthcare, non-availability of drinking water for several months, mass migration etc. are now seeing vast improvement with the efforts of our focussed holistic development approach– the 360º model of development encompassing interventions in health, education, water & sanitation and economic development. Scarcity of drinking water and water for irrigation poses innumerable disadvantages to the rural community impacting every single individual in the family. It hinders economic growth and leads to various health problems which runs through generations. It also increases school drop-outs as women and girl child at households are primarily responsible to trudge a distance each day to collect water from nearby sources. Owing to all these shortcomings, most youths migrate to nearby cities doing odd jobs to earn a living. Our intervention in water has a two-pronged approach: water for drinking, and water for irrigation. For drinking water, we harness the existing water sources such as spring, open wells, dams and streams and draw water through pipes which are then delivered to each household through taps. 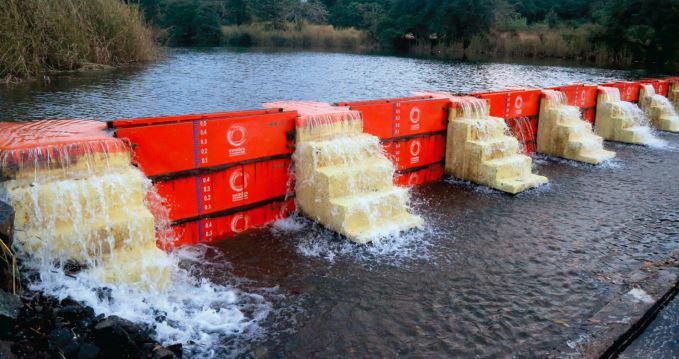 We build ground storage reservoir or elevated storage reservoir with a capacity commensurate with the number of households in the area, with a standard of 200 litres water to every household each day. The water project, once completed, is handed over to the Water Committee, which is formed at the beginning of the project comprising of equal representation of male/female, caste, religion, hamlets etc. Their role through the project involves ensuring progress of work against the implementation schedule. Post handover, they maintain the infrastructure, undertake repairs (when needed), and in some instances, ration water to households to ensure adequate availability of water during the summer months. Our efforts so far has enabled nearly 30,000 households access to potable water in their homes. For bringing water into the fields, we undertake building of infrastructure like recharge-ponds, construct gate type check dams on streams (seasonal tributaries) of short rivers ending into the Arabian Sea, with a robust grid of drip and flood irrigation helping farmers do a second crop in fruits/vegetables, and for some, even a third crop, thus enabling the farmer to reap more income out of his land. This initiatives has helped irrigate over 1,500 acres so far. We are focussed on combatting the dire situation of open defecation and the subsequent negative health impact it has on individuals and the community as a whole. We work towards a total sanitation sustainability framework. We not only provide every household (HH) with access to a functional toilet at all times, but we also aim at bringing behavioural shift which would result in actual usage and upkeep. The behavioural change continuum is manifested through a three-pronged push individual level, government level, and institution level. The community is at the core of this initiative and participate in every stage to ensure sustainability of the framework. After constructing toilets in 20,800+ HH across six blocks in Raigad, the number of HHs without toilets has come down to ~two percent basis government census. There is another facet of this programme which has rural government-aided and unaided schools at its nerve centre where school-going children’s right to education is impacted in many ways by poor infrastructural facilities and limited access to water, sanitation and hygiene. Children tend to suffer from health issues which can sap their learning abilities. By implementing infrastructural upgrades (separate toilets for boys and girls and drinking water stations) in 146 schools so far under this programme, we have ensured that no child drops out due to lack of basic facility at school. 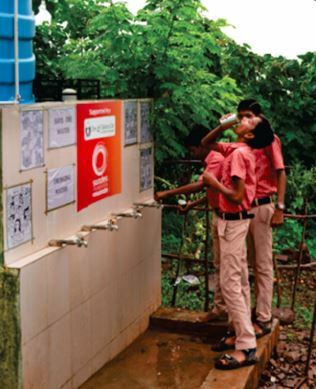 Thanks to our partners – Tata Trusts, Reckitt Benckiser, HSBC India, Sun Pharmaceuticals, Deutsche Bank, HT Parekh Foundation, HDFC Bank, RBL Bank, SBI Capital Markets, Macquarie Group, Australian Aid and a few more who believed in us and supported our initiatives in Water & Sanitation. 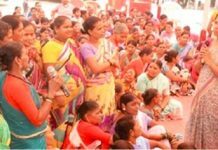 Anjana Ashok Kasare is a 52-year-old widow from a small hamlet Tokarde in Tala block of Raigad district. Her only son found a job in Mumbai through the Swades Direct Placement Skills Training Programme. As proud as she was for her son, living all by herself in the hamlet was challenging for her. Devoid of a household toilet, she would trudge a long distance everyday to relieve herself in the open. The daily embarrassment had become apart of life until she came across our sanitation programme in January 2016. Motivated by the entire proposition, she agreed to give her donation (a small contribution to ensure buy-in while the major cost is borne by Swades and its partners) towards the programme. The toilet was completed within a month. 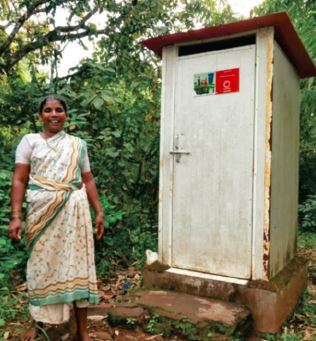 With her son placed in a decent job and toilet of her own at home, Anjana Kasare is now more content with her life. For 25 years, Kashibai Sopan Mhamunkar had to walk close to 1.5 kilometres downhill to collect water from a well for drinking and other household chores, and then trudge back uphill with her water-filled handa (pot); a tiring four hour commute in total, everyday. 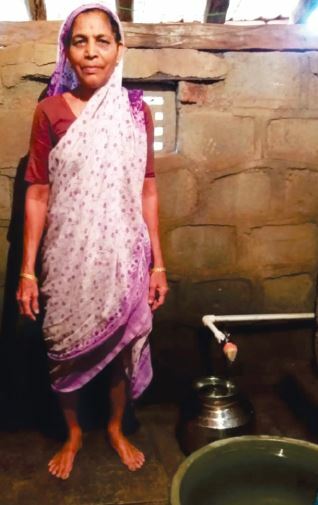 A widowed mother of three whose children had migrated to Mumbai for livelihood, Kashibai was fighting avery tough battle due to water scarcity, just as her fellow villagers were. In 2017, the Swades team got in touch with her village representatives and informed them, among other things, the drinking water programme. The fact that the programme entailed providing drinking water through taps in every household felt like magic to them. The villagers agreed to contribute their share of donation and promptly submitted the request letter to Swades. Swades immediately swung into action. A geophysical survey was conducted to check the most viable spot for connecting the main source of water to the reservoir. This was completed in January 2018– all within three months of obtaining the request letter. The reservoir connects the main source to ground storage reservoir using solar as a means to draw water to the reservoir. 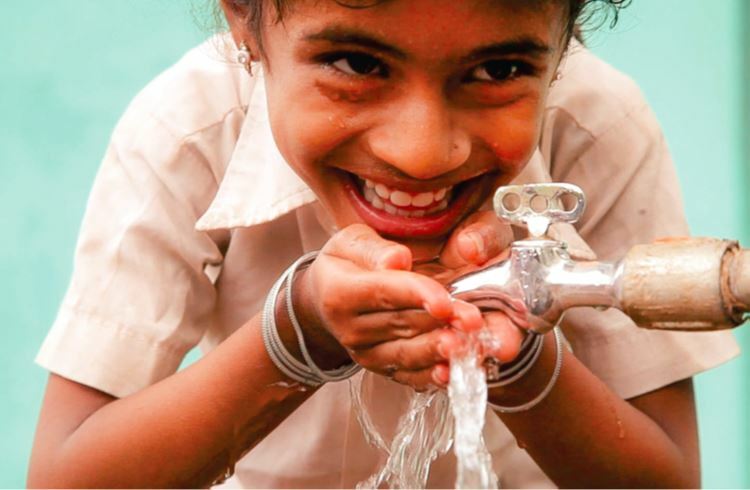 Each individual household in the small hamlet is now a recipient of tap water connection. In March 2018, Swades also trained Water Committees from the village to sustain and maintain the project. This latest development has brought about positive changes in the village. Children who had to spend tiring hours post school to collect water, have been relieved of the stress. Furthermore, sanitation efforts in the hamlet have received a good boost due to availability of water. 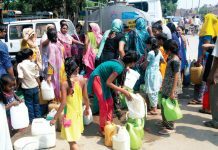 Family members who have migrated to Mumbai and other bigger towns are now more regular in their visits due to the availability of water, which was a rare sight before. The whole village is content beyond measure, and for 60 year old Kashibai, her life is more enriched now. Our work in Water and Sanitation is well on track, and we aim to cover all households in our current geography with their toilet and drinking water requirements within the first half of the year. We are targeting March 2019 to meet the toilet numbers followed by June 2019 to make clean drinking water available for household in the area. Furthermore, we are empowering our communities through training on regular usage and upkeep of toilets to enable an open and defaecation-free geography. Moreover, through the Water for Irrigation initiative, we will continue to empower our farmers, helping them augment income by working on multiple crops. 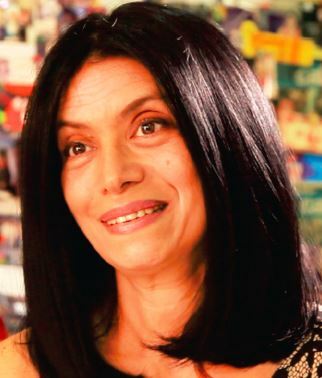 Zarina Screwvala is Founder Director of Swades Foundation.